The semifinal has a total of 5 contestants who presented a total of six performances each. Two of them got eliminated while the rest of the three got a chance to do good at the next level. First of all, two proceeded to the grand finals after getting a combined score from the judges (50%), and the audience voters present there (50%). Maricel Callo from Pagadian City in Mindanao was fan favorite along with Mary Gidget dela Llana from Calamba City, Laguna in Luzon. After the result, Laguna and Mary emerged as the first two finalists from the five semifinalists. The official results were declared after some time which showed Maricel and Gidget moving to finals. Maricel Callo ranked first while Gidget del Llana and Daddy Dominador Alvoila Jr were ranked second and third respectively regarding text voters. Rachel Gabreza fetched the highest score from the judges. She was followed by Gidget and then Daddy D.
The overall result became tougher and very close. At last, it was the audience who made sure to win its winner. The judges scores weren’t able to make any significant changes. The result remains the same as per the text voters. It was shocking that Maricel got the lowest score from the judges. However, there was a good thing, and it was that there was text voting too. The viewers gave maximum votes. The judges’ scores were very close. It was just a difference of only 1.32 between the top choice of judges and bottom choice. Rachel and Maricel were the top and bottom choices of judges. On a positive note, it can be said that judges liked all of them, and they were all close competitors deserving to go to the next level. 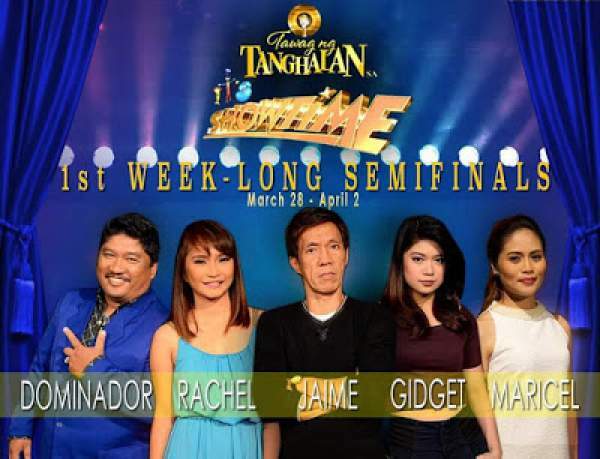 The TRT team congratulates Maricel and Gidget for the finals and wishes for their grand finale battle. May the best wins. Stay tuned to The Reporter Times for latest news and updates across the globe. Don’t forget to share it.